Alice Gilbert reviews education activist Malala Yousafzai’s memoir, detailing her fight for education and the day the world took notice. 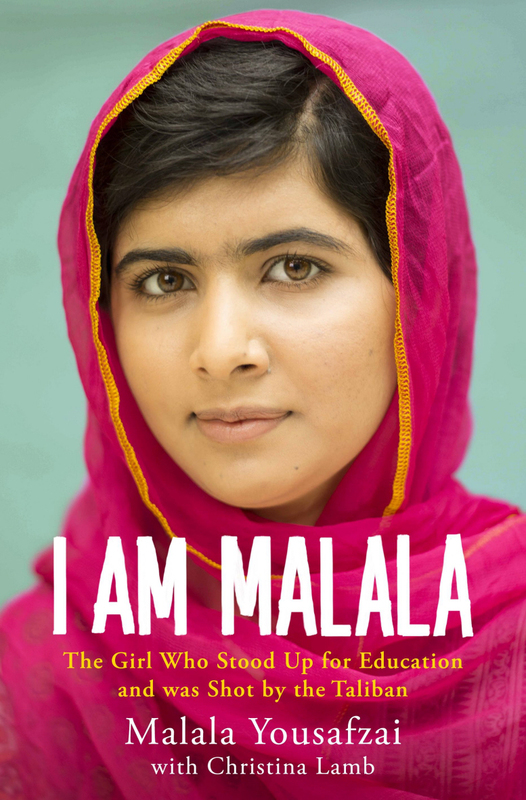 In the prologue of Malala Yousafzai’s memoir, I Am Malala, she describes the fateful day in October 2012 when, returning home from school after an exam, in the Swat Valley in Northern Pakistan, she was shot at three times by a member of the Taliban. One bullet entered her left eye socket and miraculously missed her brain, leaving her fighting for life and changing her world forever. She then takes us back in time to where the story began, describing her childhood, and life in the Swat Valley pre-Taliban. Her father overcame his meagre beginnings in a small country town in the region, moving to Mingora, the largest city in the Swat Valley, and establishing a school that now contains over a thousand students. Malala emphasises the importance of her father’s pride in her, despite the fact that most other families in Pakistan only prized sons, not daughters. Her father’s confidence and his belief in the importance of education inspired her to succeed and to become the vocal activist for women’s education that earned her world-wide attention and a nomination for the Nobel Peace Prize. It is clear that she is torn between her love for her homeland and her disillusionment at the continued conflict that has transformed it into a hellish place of fear and violence. Malala’s story tracks the Taliban’s rise in popularity in Swat, initially enticing people with radio broadcasts which emphasised strict Muslim values. As they gained more support and more money, they began to enforce these rules with violent tactics, including shootings and suicide bombings. Women’s freedoms became very restricted under the occupation of Taliban insurgents. People like Malala and her father, who advocated for women’s rights, as well as for the dream of inter-faith harmony, were seen as a threat to this fundamentalist movement. After the attempt on her life, Malala was transported to the UK and treated at Birmingham’s Queen Elizabeth Hospital, where she made a slow recovery. She now lives with her family in Birmingham and has not since returned to Pakistan. Malala’s voice is intelligent and insightful. She conveys a love for Pakistan, a country that has struggled to find effective governance since its beginnings in 1947, when it separated from India to form a Muslim state. Despite its problems, she emphasises the beauty of the country, particularly the Swat Valley, describing its majestic mountains and colourful countryside. It is clear that she is torn between her love for her homeland and her disillusionment at the continued conflict that has transformed it into a hellish place of fear and violence. The book draws attention to the plight of young women and girls, in Swat and around the world, whose rights to education and to equality of opportunity are being denied. She sees education as a weapon against oppression. The Malala Fund, established shortly after her attempted assassination, aims to inspire and empower young girls to fight for their right to an education. As well as her Nobel Peace Prize nomination, Malala has received the National Peace Prize in Pakistan (2011) and the International Children’s Peace Prize (2013) for her work towards achieving universal education.